For other people named Gene Clark, see Gene Clark (disambiguation). The Fantastic Expedition of Dillard & Clark was a pivotal work of acoustic country rock. It included such enduring songs as "Train Leaves Here This Morning" (a collaboration between Clark and Leadon prominently covered by the latter in 1972 on The Eagles' debut album) and "She Darked the Sun" (covered by Linda Ronstadt on her 1970 album Silk Purse). In contrast, Through the Morning, Through the Night was more indebted to traditional bluegrass but also employed electric instrumentation. By this juncture, Dillard's girlfriend Donna Washburn had joined the group as a backing vocalist, a factor that precipitated the departure of Leadon. The shift to traditional bluegrass also caused Clark to lose interest. Written by Clark, the title song was used by Quincy Jones in the soundtrack of the 1972 Sam Peckinpah film The Getaway; it was also covered by Robert Plant and Alison Krauss (along with "Polly," another Clark-penned track from the album) on their 2007 album Raising Sand. Both albums by Dillard & Clark fared poorly on the charts, but they are now regarded as seminal exemplars of the country rock and progressive bluegrass genres. The collaboration with Dillard rejuvenated Clark's creativity but greatly contributed to his growing drinking problem. Dillard & Clark disintegrated in late 1969 after the departures of Clark and Leadon. During this period, Clark, Leadon, Jackson and Beck contributed to the debut album of Steve Young, Rock Salt & Nails, released in November 1969. Frustrated with the music industry, Clark bought a house in Albion, California and married former go-go dancer and Bell Records production assistant Carlie Lynn McCummings in June 1970, with whom he had two sons (Kelly and Kai Clark). In semi-retirement, he subsisted on his still-substantial Byrds royalties throughout the early 1970s, augmented by income from The Turtles' 1969 American Top Ten hit "You Showed Me", a previously unreleased composition by McGuinn and Clark from 1964 rearranged for the band by Chip Douglas. In 1971, Clark released his second solo album, White Light (the title was not on the cover sleeve, and thus some later reviewers mistakenly assumed that the title was Gene Clark). The album was produced by the American Indian guitarist Jesse Ed Davis, with whom Clark developed great rapport, partly due to their common ancestry. An intimate, poetic and mostly acoustic work supplemented by Davis's slide guitar, the album contained many introspective tracks, such as "With Tomorrow", "Because of You", "Where My Love Lies Asleep" and "For a Spanish Guitar" (which Bob Dylan reportedly hailed as one of the greatest songs ever written). All of the material was written by Clark, with the exception of Bob Dylan and Richard Manuel's "Tears of Rage". Launched to considerable critical acclaim, the album failed to gain commercial success, except in the Netherlands, where it was voted album of the year by rock music critics. Once more, modest promotion and Clark's refusal to undertake promotional touring adversely affected sales. In the spring of 1971, Clark was commissioned by Dennis Hopper to contribute the tracks "American Dreamer" and "Outlaw Song" to American Dreamer, a documentary that chronicled the fractious editing process of The Last Movie. A rerecorded, longer version of the song "American Dreamer" was later used in the 1977 film The Farmer, along with an instrumental version of the same song plus "Outside the Law (The Outlaw)", a rerecording of "Outlaw Song". Clark left A&M in late 1972 to join a reunion of the original five Byrds. They cut the album Byrds, which was released in March 1973 by Asylum Records. While the album charted relatively well (U.S. No. 20), its placement did not live up to the label's initial expectations in the wake of the recent success of Crosby (Crosby, Stills, Nash & Young) and Hillman (a member of Stephen Stills's band Manassas). Clark's compositions "Full Circle" and "Changing Heart" and the Neil Young covers on which he sang the lead vocal ("See the Sky About to Rain" and "Cowgirl in the Sand") were widely regarded as the standout tracks on the critically divisive album. Disheartened by the bad reviews and unhappy with Crosby's performance as the record's producer, the group members chose to dissolve the band. Clark briefly joined McGuinn's solo group, with which he premiered "Silver Raven", arguably his most celebrated post-Byrds song. On the basis of the quality of Clark's contributions to Byrds, David Geffen signed him to Asylum Records in early 1974. The label was the home of the most prominent exponents of the singer-songwriter movement of the era and carried the kind of hip cachet that Clark hadn't experienced since his days with the Byrds. While composing the album, he spent long periods with a notebook and an acoustic guitar at the picture window of his home, deriving inspiration from staring at the Pacific Ocean. Produced by Thomas Jefferson Kaye with a vast array of session musicians (including members of the Section and the Allman Brothers Band) and backing singers, the ensuing No Other fused elements of country rock, folk, gospel, soul and choral music with poetic, mystical lyrics. Although the album was praised by critics, its unconventional arrangements (which anticipated the later innovations of Lindsey Buckingham, Stevie Nicks and Christine McVie) limited public appeal. Furthermore, its high production costs (exceeding $100,000) prompted Geffen to publicly berate Clark and Kaye. The album was minimally promoted and stalled in the Billboard album chart at No. 144. In 2013, members of the bands Beach House, The Walkmen, Grizzly Bear, and Fleet Foxes performed the album in its entirety in a series of concerts. Clark's return to Los Angeles to record the album resulted in his reversion to a hedonistic lifestyle and accelerated the disintegration of his marriage. 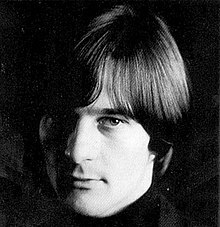 Disillusioned by professional and marital failure, he mounted his first solo tour by road, playing colleges and clubs with Roger White (lead guitar and backing vocals) and Duke Bardwell (electric bass, backing vocals and acoustic guitar); the drumless trio was billed as Gene Clark and the Silverados. After the commercial failure of No Other, Clark was confused about his artistic direction. Throughout 1975 and 1976, he had hinted to the press that he was assembling a set of "cosmic" songs fusing country rock with R&B and funk, elaborating on the soundscapes of his most recent album. In 1976, he recorded a set of ten demos that combined country and folk music with a light touch of cosmic consciousness. These were submitted to RSO Records, which promptly bought out Clark's Asylum contract and issued the long-gestating Two Sides to Every Story in 1977. The album—a melange of bluegrass, traditional honky tonk, echoes of No Other ("Sister Moon") and strident country rock (a new arrangement of "Kansas City Southern")—was produced by Kaye with an understated touch. For his British tour dates, Clark found himself on the same bill as ex-Byrds Roger McGuinn and Chris Hillman, each fronting their own bands. Shortly after returning to the United States, Clark and McGuinn began touring as an acoustic duo. After Hillman joined his former bandmates, the reformed trio signed with Capitol Records. Produced by the Albert Brothers (who had recently recorded Crosby, Stills & Nash's 1977 comeback album), the ensuing McGuinn, Clark & Hillman (1979) was a rebirth in both performing and songwriting for Clark, who ensconced himself as the group's dominant creative force. He wrote four songs for the album, including "Backstage Pass" (a rumination on the ennui of touring and his fear of flying), "Release Me Girl" (a disco-inflected collaboration with Thomas Jefferson Kaye), the UFO-inspired "Feelin' Higher" and "Little Mama". Many critics felt that the album's slick production and disco-influenced soft rock rhythms didn't flatter the group, but the album reached No. 39 on the Billboard 200 (underpinned by the McGuinn-penned "Don't You Write Her Off", which peaked at No. 33 in May 1979) and earned a RIAA gold certification, selling well enough to generate a follow-up. McGuinn, Clark and Hillman's second release was to have been a full group effort entitled City; although it was ultimately released in 1980, a combination of Clark's unreliability (including experimentation with heroin) and his dissatisfaction with their musical direction (mostly regarding Ron and Howard Albert's production) resulted in the album being credited to "Roger McGuinn & Chris Hillman featuring Gene Clark." Despite the turmoil, Clark penned the song "Won't Let You Down". By 1981, Clark had left, and the group recorded one more album as "McGuinn/Hillman". Despite the critical success of So Rebellious a Lover, which led to several TV appearances (including Nashville Now), Clark was increasingly afflicted with serious health problems, including ulcers and alcohol dependence. In 1988, he underwent surgery to remove a malignant ulcer. A period of abstinence and recovery followed until Tom Petty's cover of "I'll Feel a Whole Lot Better", on his album Full Moon Fever (1989), yielded royalties to Clark. Flush with money, he began to neglect his professional obligations (including a highly anticipated British solo tour) and resumed using drugs, including alcohol, heroin and crack cocaine. Although the circumstances remain nebulous (with Carla Olson citing alleged financial improprieties), the binge also precipitated his final break-up with Terri Messina, who had a two-decade on-again, off-again relationship with Clark. During this period, The Byrds set aside their differences long enough to appear together at their induction into the Rock and Roll Hall of Fame in January 1991, at which the original lineup performed several songs together, including Clark's "I'll Feel a Whole Lot Better". Clark's health continued to decline as his substance abuse accelerated. He died on May 24, 1991, at the age of 46 from natural causes brought on by a bleeding ulcer. During his career and after his death, Clark's songs have been covered by a number of artists. Iain Matthews was an early promoter of Clark's songs, covering "Polly" on his 1972 album Journeys from Gospel Oak and "Tried So Hard" on his 1974 album Some Days You Eat the Bear. "Tried So Hard" was later covered by Yo la Tengo on Fakebook in 1990. Death in Vegas and Paul Weller covered his song "So You Say You Lost Your Baby" on their 2003 album Scorpio Rising. In 1993 the Scottish band Teenage Fanclub recorded a tribute entitled "Gene Clark" on their album Thirteen. In 2007, two of his songs were recorded by Alison Krauss and Robert Plant on the T-Bone Burnett–produced Raising Sand: "Polly Come Home" and "Through the Morning, Through the Night." Also in 2007, Chris and Rich Robinson released a live version of "Polly" on their album Brothers of a Feather: Live at the Roxy. This Mortal Coil covered "Strength of Strings" from his album No Other and "With Tomorrow" from his album White Light. Soulsavers with Mark Lanegan recorded a version of "Some Misunderstanding" from No Other on their 2009 release, Broken. Title Tracks recorded a version of "She Don't Care About Time" on its 2010 release, It Was Easy. The song "Gorgeous" from Kanye West's 2010 album My Beautiful Dark Twisted Fantasy is based on elements of The Turtles' cover of "You Showed Me". ^ a b Deming, Mark. "Gene Clark Biography". AllMusic. Rovi. Retrieved July 17, 2013. ^ "No Other - Gene Clark - Songs, Reviews, Credits - AllMusic". AllMusic. Retrieved June 21, 2018. ^ Rogan, Johnny (2008). The Byrds: Timeless Flight Revisited The Sequel. London England: Rogan House. p. 370. ISBN 0-95295-401-X. ^ Einarson, John (2005). Mr. Tambourine Man: The Life and Legacy of the Byrds' Gene Clark. San Francisco: Backbeat Books. p. 286. ISBN 0-87930-793-5.